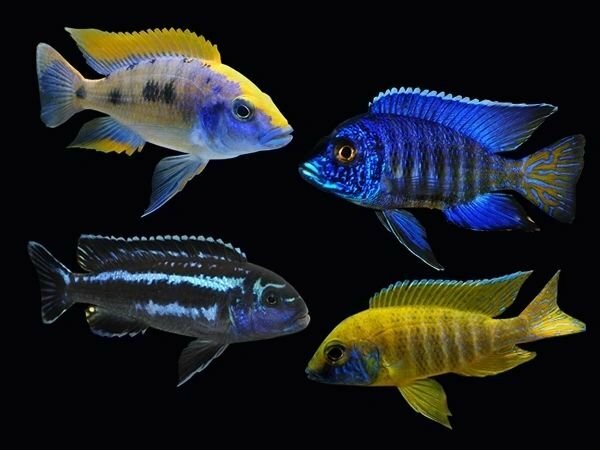 The assorted peacock comprises a nice mix of the more commonly available varieties such as the Albino, Blue, Red and Yellow. Peacocks are relatively peaceful fish that can be kept either on their own, or in a community of similar sized Malawi Cichlids. In their natural habitat, most Peacocks are smaller than 10cm (a few types may reach 13cm). Captive fish, fed a good diet in aquaria, generally exceed these sizes. Some males may grow to 15cm or more (females remain smaller).